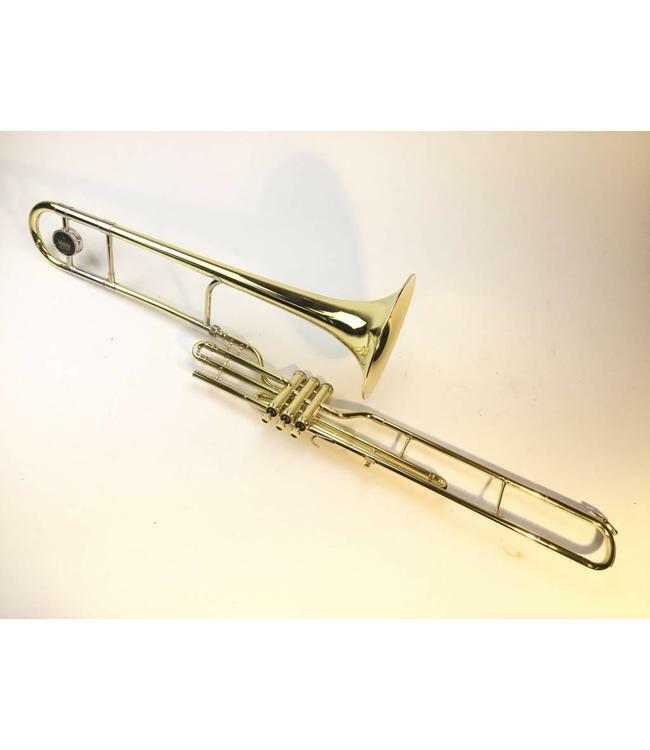 Used King 2166 Professional Bb Valve Trombone in lacquer. .481" bore, 8" yellow brass bell flare. Instrument is in demo condition apart from very minor acid bleed around bell rim. Comes with King woodshell case.